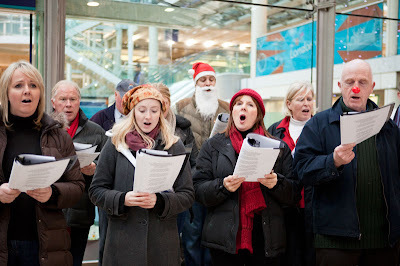 Lovely Christmas cheer at Paddington Railway Station. 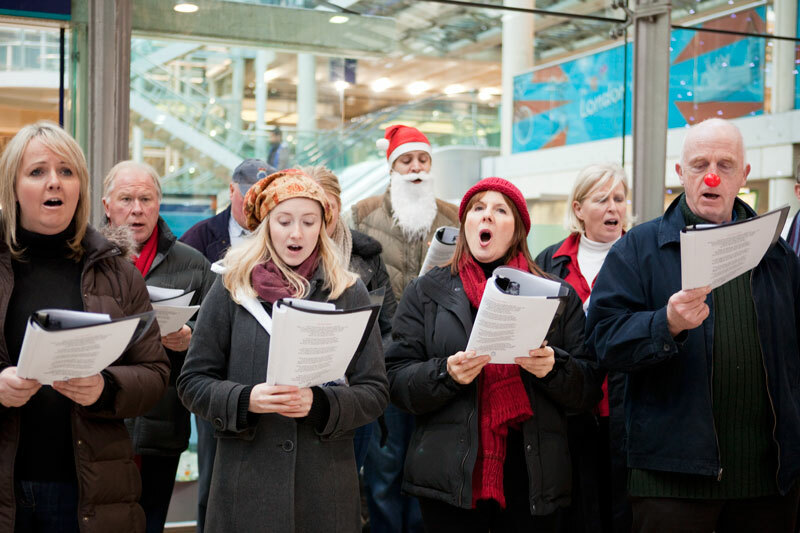 An ensemble comprising of musicians from LGSW and singers made up of by friends and supporters of the David Adams Leukemia and current and former patients of the Royal Marsden Hospital entertained travellers on Saturday afternoon. I love it when I run into groups like this. It seems so spontaneous even if it isn't. This looks wonderful, Mo. I love Christmas carols, especially the old traditional English carols. Pretty soon I will pull out the CDs with David Willcocks choirs singing Christmas carols. When the carolers start doing the rounds, that's what puts most people in the Christmas mood I think Mo, can't help humming and singing along. Great shot love the enthusiasm on the lady in front's face! I like the guy with the red nose.